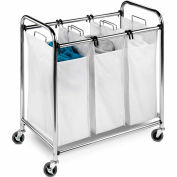 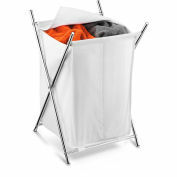 Honey-Can-Do HMP-01126 Chrome Folding Hamper with removable bag, white. 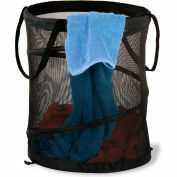 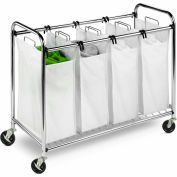 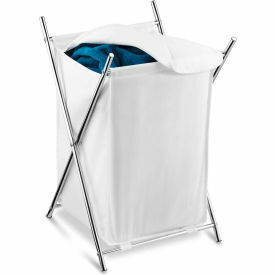 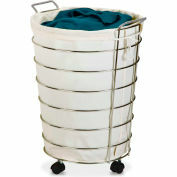 A stylish laundry solution, this chrome folding hamper has an integrated fold-over cover that keeps contents concealed and any laundry area neat and clean. 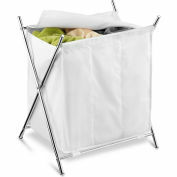 The cover itself is removable and washable while the brilliant chrome plated steel frame is both sturdy and rust-resistant. 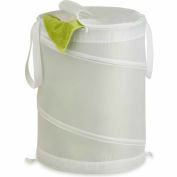 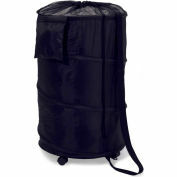 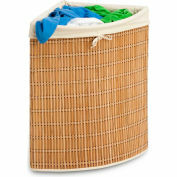 When not in use, this hamper folds to flat so it can be quickly and easily moved or stowed away.